Science projects for a second grade science fair should be simple, but that does not mean they cannot be a blast to do. Integrating kid-friendly topics into science is an effective way to get children excited about science, which in turn may lead to more success in learning. At science fairs, a simple poster board may show excellent work, but most students and even parents will pass over it for an exciting, interactive project. 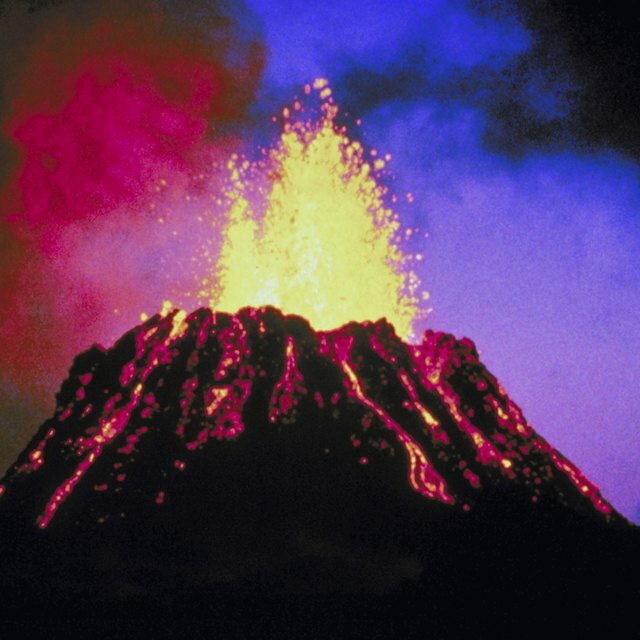 One of the classic science projects for any age group is the volcano eruption. This project involves a student creating a papier-mâché volcano and cementing it to a board. The student paints the volcano and creates scenery around the volcano using clay or paper. Inside of the volcano is a container of baking soda. The project manifests when the student pours vinegar, mixed with red food coloring for effect, into the container of baking soda. The chemical reaction then creates what appears to be an erupting volcano. Students should have enough baking soda, vinegar and red food coloring to perform multiple eruptions at any given science fair. Everyone loves bubbles. A simple science project that requires only a plastic swimming pool, a Hula-hoop, water and dish soap is the human bubble. The experiment features a bubble maker and a volunteer. The bubble maker sets the hoop into the bubble solution, then the volunteer steps into the hoop. The bubble maker lifts the hoop over the head of the volunteer, trapping the volunteer inside a bubble. This experiment requires the placement of towels around the pool for the inevitable spillage. Volunteers can reduce the chance of getting soap in their eyes by wearing safety goggles. A tea bag rocket is a simple experiment that delights kids, but requires adult assistance. The experiment consists of a lighter or match, and a tea bag. The student opens a tea bag, dumping the tea leaves into a small pile on a nonflammable surface, before positioning the bag within the pile of leaves to form an upright, cylindrical structure. Once in place, the tea bag is set on fire. When the bag burns to the base, the ashes will shoot into the air like a rocket. The experiment is very simple, but any time fire is involved, adult supervision is necessary. Soden, J.M.. "Ideas for Second Grade Science Fair." 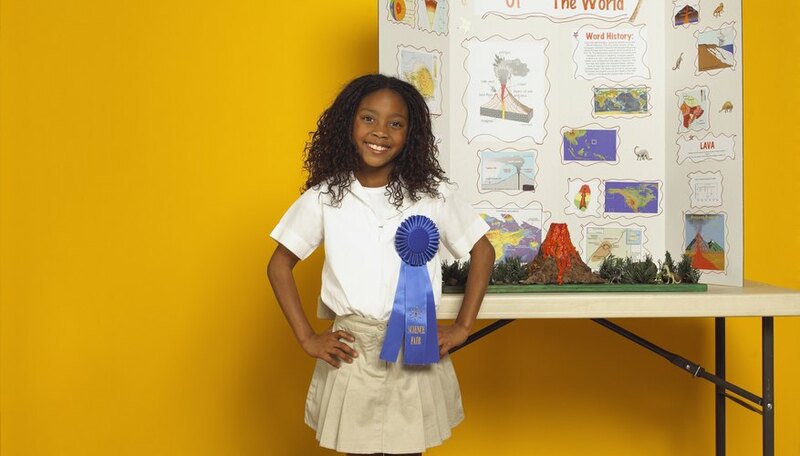 Sciencing, https://sciencing.com/ideas-second-grade-science-fair-5899854.html. 24 April 2017.